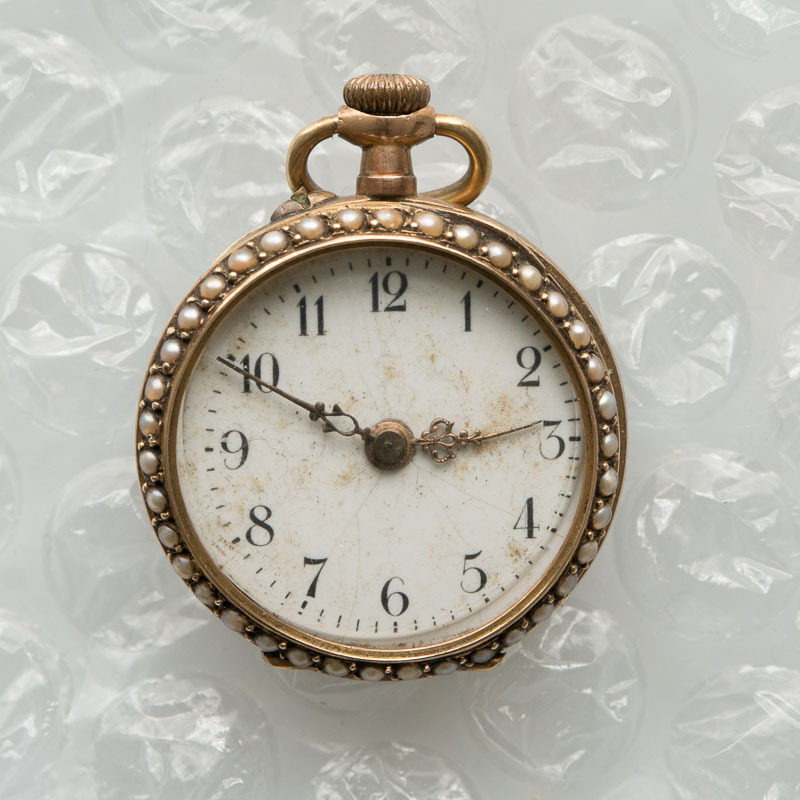 An American lady now living in the UK bought in a small pocket or pendant watch from her family. 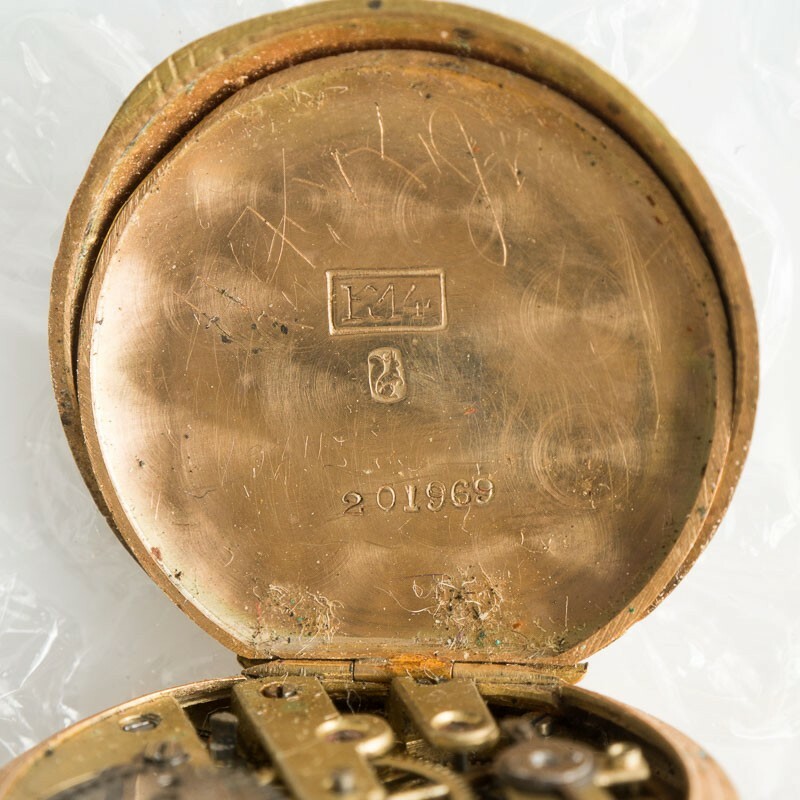 It has nail setting for the hands, the small pin to the left of the winder. It’s almost exactly an inch in diameter. 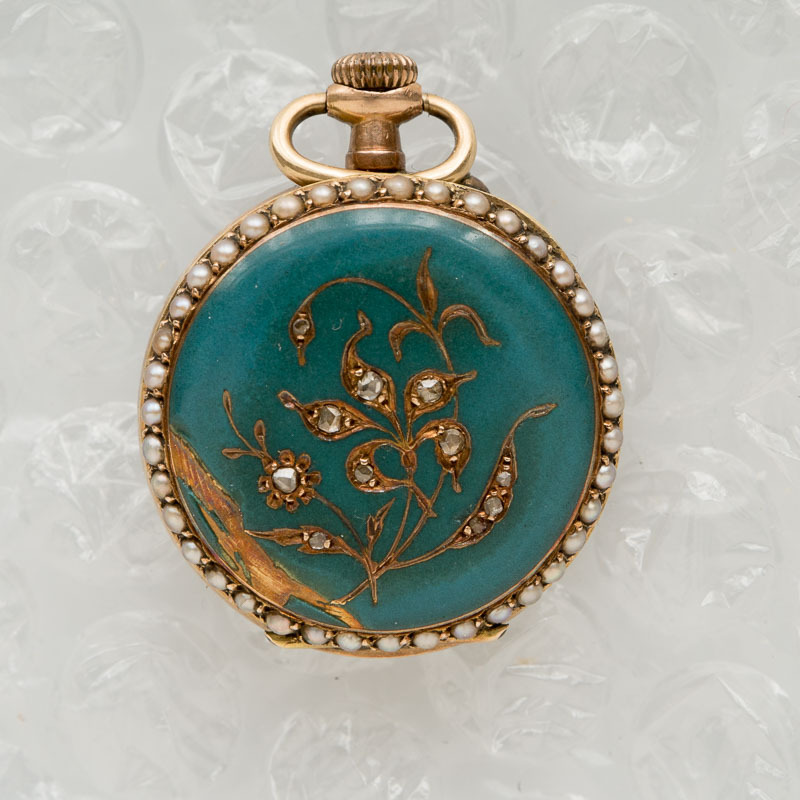 There are pearls around the edge and the back is probably enamelled, with inset stones. 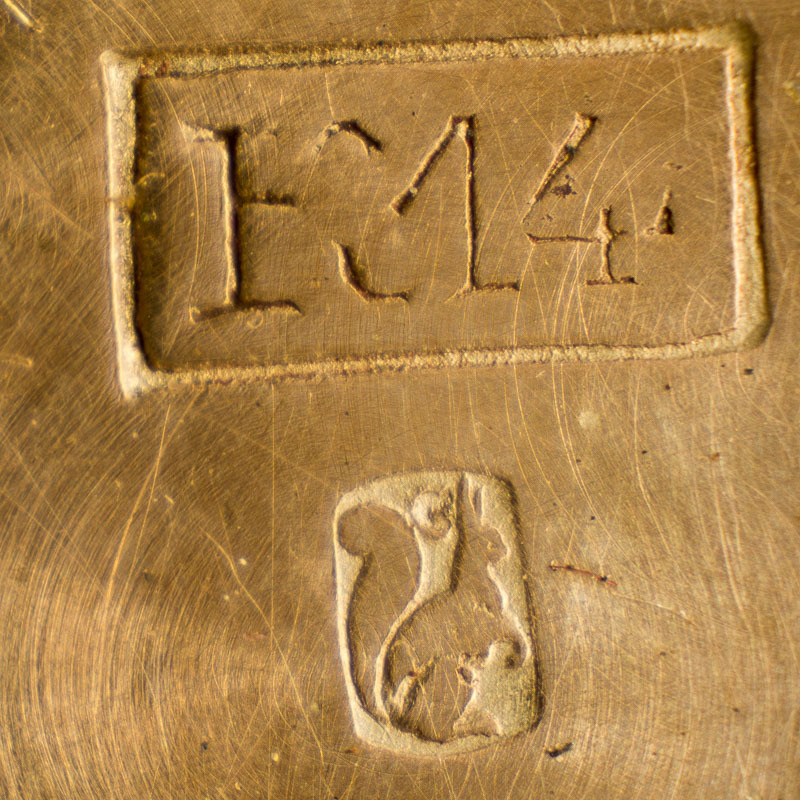 The squirrel with letter G and the slightly strange K14 mark are the Swiss hallmarks for 14 carat gold assayed at Geneva. 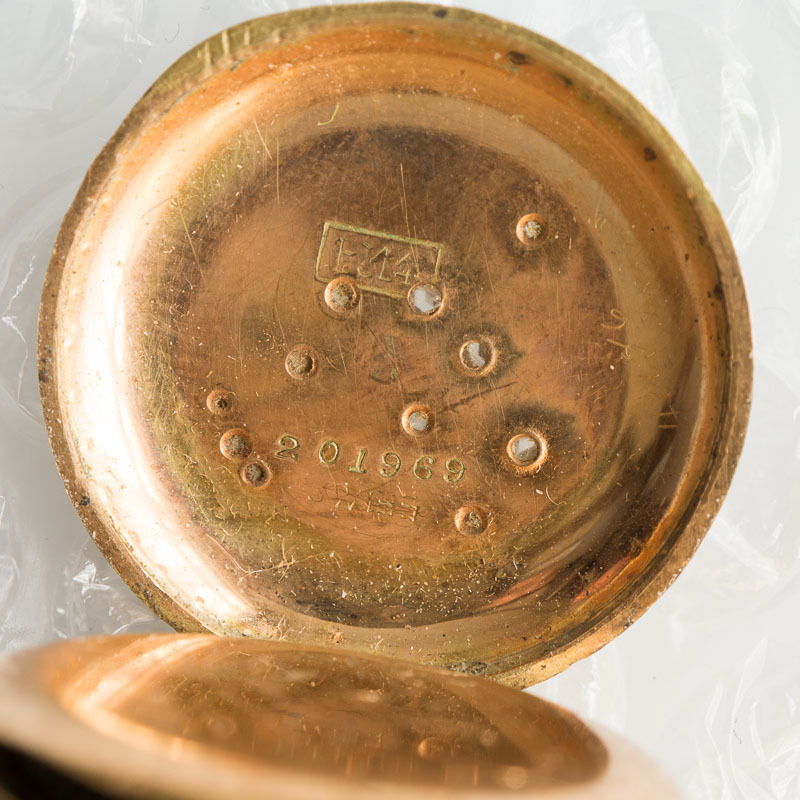 This mark was introduced in 1880, so the watch dates from the last two decades of the 19th century. 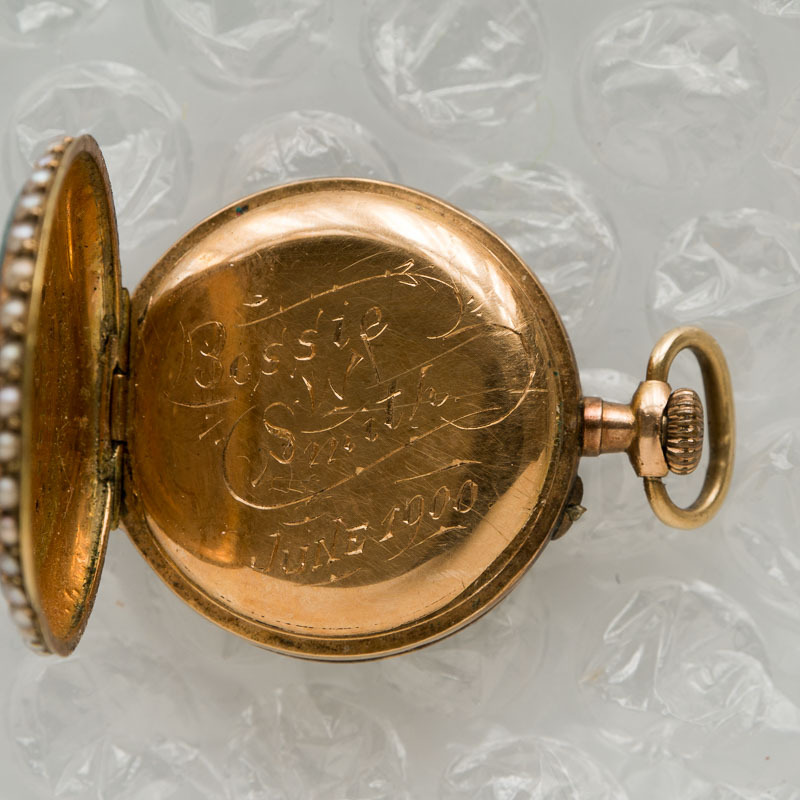 There are no UK hallmarks so the watch must have been bought in Switzerland and been taken to the USA sometime during that period. I guess the dedication was engraved in the US and the watch was given as a present on a significant occasion. 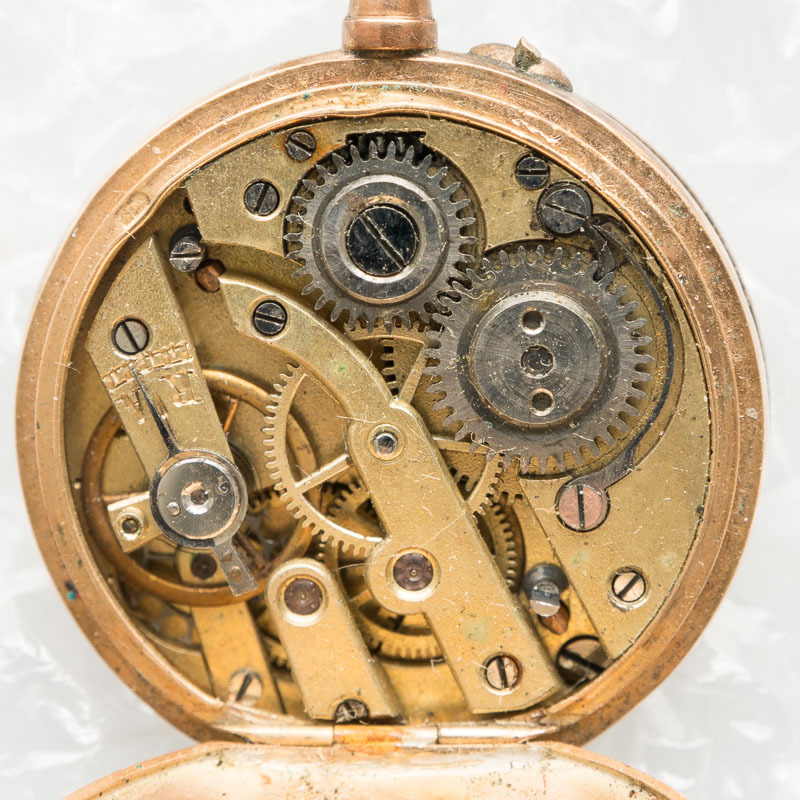 The movement is 21mm in diameter, but unfortunately is not working. 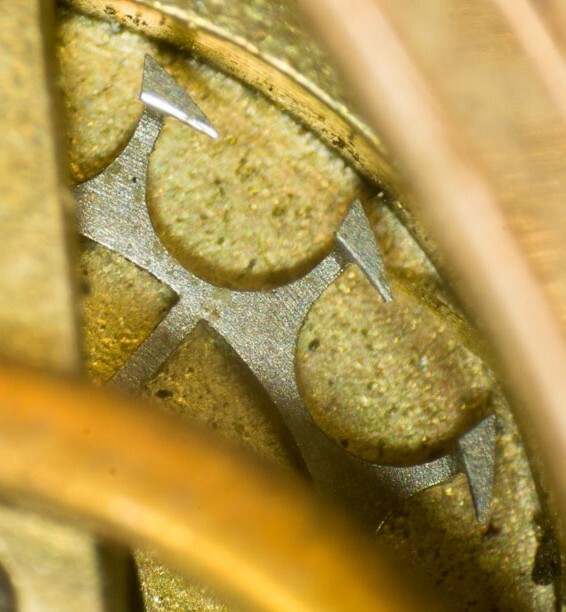 The mainspring is broken and the balance wheel moves sideways, showing at least one broken pivot and perhaps a broken cylinder. The only source of cylinders for these watches is eBay, either a donor movement or if very lucky NOS (new old stock). Most potential donor watches have broken cylinders, which is why they are advertised for sale! So it’s back to the owner to discuss the way forward.